When Ayda Algins’ debut book Made For Baby: Cute Sewn Gifts was delivered by courier, I couldn’t wait to tear off the packaging and take a peek inside. I have long admired Ayda’s work so I knew it would be special. But I wasn’t expecting something so delightful, so inspiring and so truly beautiful! This entire book took my breath away and got me really excited about sewing again. 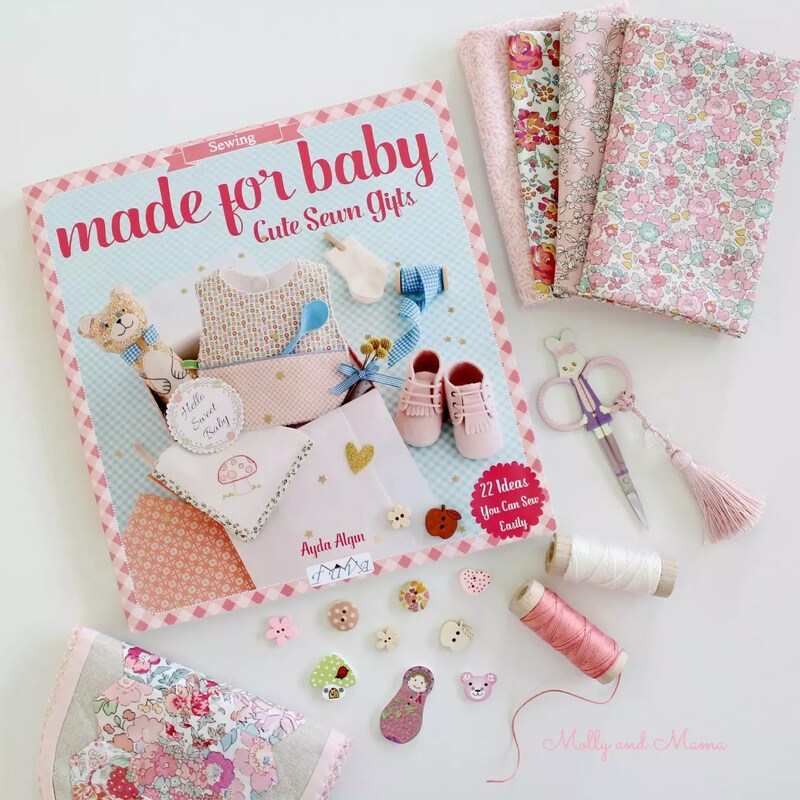 Made For Baby: Cute Sewn Gifts is Ayda’s first book with Tuva Publishing who are based in Turkey. This wonderful publishing company have brought us some amazing titles from some of my favourite makers including Quilt Petite and Sweetly Stitched Handmades. And there’s more to come with my friend Sharon’s Quilting On The Go: English Paper Piecing and then Pretty Handmades. I think I just let the cat out of the bag here a little. But enough about me! I was thrilled when Ayda invited me to join her book tour. Every single project has been beautifully designed, made with such care, and photographed to perfection. Ayda’s styling is beyond amazing! Because every project is just so appealing, I couldn’t even decide what to make. 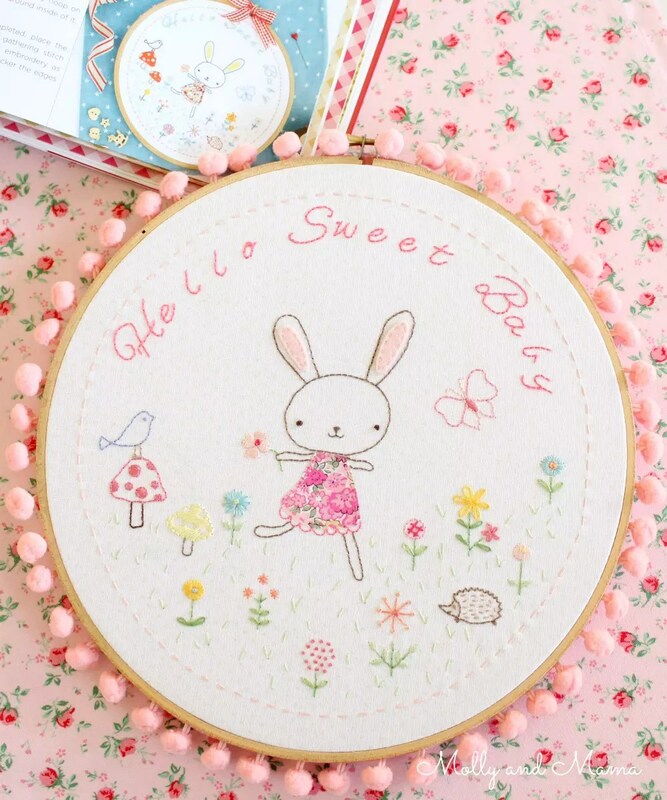 Made for Baby contains 22 gorgeous projects, ranging from quilts, wall hangings, baskets and bags, to bibs and bunnies. There are so many sweet little pieces to make for baby gifts. Yet there are also a number of projects that would suit children and adults alike. So even if you’re not sewing for little ones, there’s still so much to delight and inspire on every page! 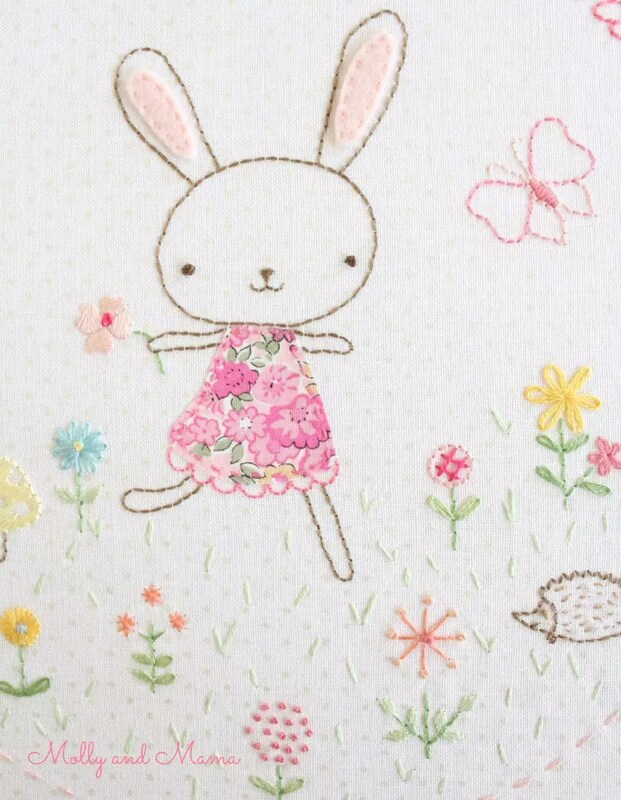 My first choice was to work on the delightful Happy Bunny embroidery project on page 100. I’m really drawn to embroidery at the moment! And my sister is very close to having her second little girl in a few weeks, so I thought this would make a special gift for bub. I totally fell in love with the little bunny in the centre. I gave her a sweet Liberty dress and wool felt ears – naturally! I really enjoyed making all those little stitches and playing around with different colour combinations. Oh, and how cute is the hedgehog? How I wish we had these gorgeous little creatures in Australia! I can just picture this hoop art on the nursery wall. It will look so sweet. And I’m also planning to make the Bunny Doll from page 56. They’ll work together perfectly! If you’d like to see more from this beautiful book, check the hashtags #madeforbabybook and #madeforbabyblogtour on Instagram. Ayda is also very generously hosting a giveaway for the duration of her book tour. So be sure to pop by her blog Cafe No Hut to find out more. Then visit the lovely and generous makers below to discover the beautiful pieces they have made from Ayda’s book. Check Melissa’s blog tomorrow for the next stop on this gorgeous book tour too. Thanks for reading along and letting me share with you my love for this beautiful book! 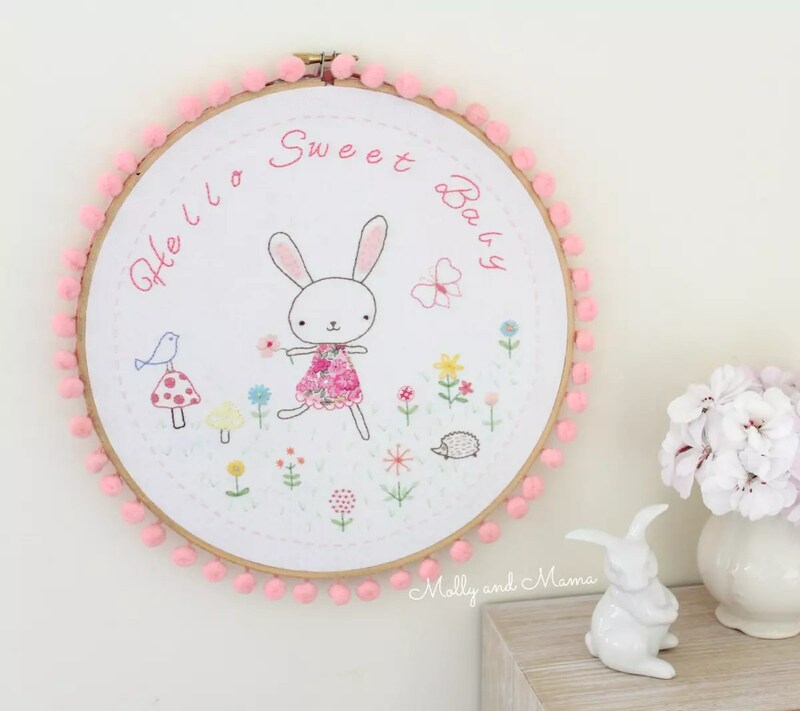 Your embroidery is darling – love it! Thanks for your kind words Samantha. It was such a lovely project to stitch!